Do you think that something as light as a feather could be stronger than steel? Researchers from the Massachusetts Institute of Technology discovered a new material that is ten times stronger than steel. This new material is made up of graphene whose alignment of atoms are modified. Graphene is a material made up of sheets of carbon atoms. Aside from its invincible strength, it also has unique electrical properties. You can replace the material itself with anything," said Markus J. Buehler, a Materials Scientist from MIT.Before, this material is available only in 2-D structures. 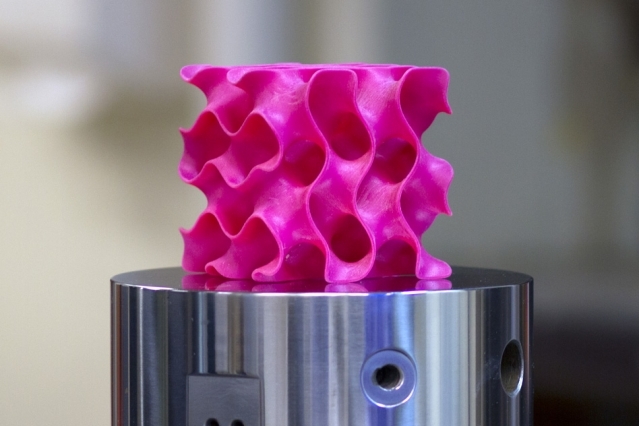 Now, the researchers have found a new method of developing this material so that it can be used in 3-D structures such as vehicles, buildings, and other devices. The small flakes of graphene should be compressed by using heat and pressure. Its surface-area-to-volume proportionality should also be massive since this is one of the main factors that contribute to its strength.The improvement of this material is continuous up-to-date. According to Zhao Qin, a Research Scientist, “Once we created these 3-D structures, we wanted to see what’s the limit — what’s the strongest possible material we can produce.” The research group was able to derive a mathematical equation which opens the possibility of this material to be used in many applications. A few examples of its application would be in filtration processes and foundations for building structures.Want to know more about this awesome device? Follow this link!